It's official: there are now more shows in April than I have gas & beer money for. 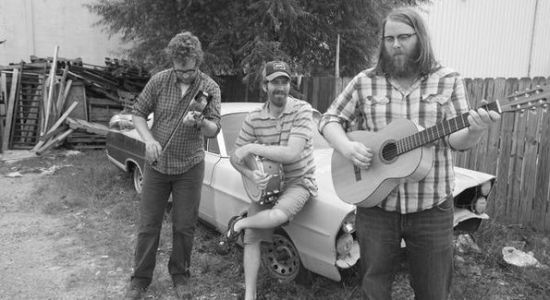 This time the show is North Carolina's Megafaun, who will be at The Replay in Lawrence on Sunday, April 11th. Megafaun's most recent album, Gather, Form & Fly, was my 10th favorite album of 2009 and rightfully so as I haven't stopped listening to it yet. I was also lucky enough to buy tickets to a Bon Iver show in Omaha last year to find later that Megafaun was the opener. Their live show only made me enjoy the album that much more and they'll put on a fantastic show at a place like the Replay. Here's Megafaun with Bon Iver at the show in Omaha that I was at. Both bands came out for Bon Iver's encore and played Megafaun's song, 'Worried Mind'. The audio cuts out at times, but I had to post this one since I was in attendance.